2017 saw the launch of two projects with a remit to generate and stimulate data journalism at a local level: the Bureau of Investigative Journalism’s Bureau Local project, and the BBC’s Shared Data Unit. The conference kicked off with speakers from each: Megan Lucero from the former, and Pete Sherlock from the latter. Both outlined a networked approach — working with collaborators and partners across the UK — but both approach was also markedly different. The Bureau’s approach is bottom-up: the team relies on a Slack group to communicate with those who want to work on their stories, and that Slack group sometimes generates leads from within the community itself, most notably with one recent investigation that began with an FOI request by The Bristol Cable. The Shared Data Unit, in contrast, is a more top-down affair: partners must first be approved as part of the Local News Partnership initiative, and stories are shared through a comprehensive briefing pack issued one week before an agreed publication date. It also has a training remit: 3 journalists from regional newspapers and websites are seconded to the unit every 3 months, to work on their own data journalism projects while being trained in relevant skills. 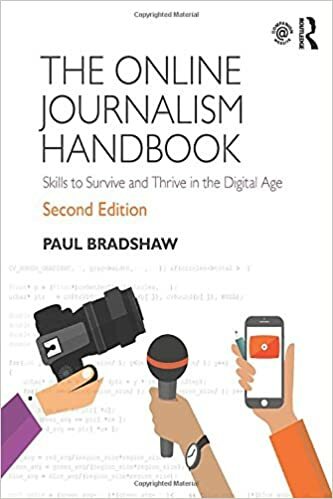 The idea is that the industry doesn’t just benefit from the stories generated in the short term, but also from the skills and ideas that those reporters bring back into regional news, and share with colleagues, upon their return. I’ve been involved in both projects and can see the advantages of both approaches: the Bureau’s Slack group is characterised by a mix of contributors, many (perhaps most) from outside traditional newsrooms, allowing the team to tap into the expertise and talents of developers and designers as well as journalists. It is a more open approach — but also relies on individuals already having an interest in, and motivation to develop, data projects. The recent hiring of a community organiser is a key recognition of the importance of actively stimulating that motivation (something we explored at Help Me Investigate). The Shared Data Unit, in contrast, draws on a more traditional network inside regional newsrooms. But with a lot of hand-holding and guidance for editors and reporters via email and telephone calls, it is helping to stimulate data literacy among people who perhaps might otherwise be unlikely to get proactively involved in a project like Bureau Local (a GitHub repo for each story does make data and methodology available to anyone after publication). The regular secondment of reporters from other organisations also represents an important source of new ideas and approaches to the team, and it will be interesting to see how that network of former secondees develops over time, and whether those who have passed through the Shared Data Unit begin to form a support network in the future. Its barely four years since Trinity Mirror established its data team but it’s fast become a model for the rest of the industry. Both Archant‘s investigations unit and the BBC England data unit celebrated their 2nd anniversary this year, while Johnston Press‘s investigations team has just completed its first year of operation and the Bureau Local and Shared Data Unit explored above are still in their early days. In each team, reporters no longer just think of their own patch when looking at story ideas, but also consider the potential for repeating the approach across other parts of the country — Johnston Press’s Aasma Day, for example, told the conference how their investigation into NHS plans ran across multiple titles with different angles. At a time of ongoing cuts, it feels unusually positive to be looking at strategic moves across the industry which appear to reflect a realisation that journalism needs to better compete on the depth and exclusivity of its reporting. It is also a situation where being a large newspaper group has obvious advantages: most teams are distributed geographically and in many cases have reallocated existing staff rather than hiring new ones. The latest addition to that list of data teams, however, is hiring more data journalists than any so far: Urbs Media and Press Association‘s joint RADAR project has already started serving stories to 14 groups including Newsquest, Iliffe Media, and the Midland News Association, ahead of its full launch early next year. 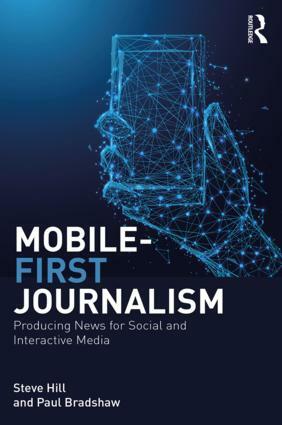 …but also moving up the value chain to positions where journalists help shape the technologies that identify potential leads, or tell the resulting stories. The great strength of this is that it shows journalists taking back control of the news infrastructure, where the last few years has seen concern over just the opposite. But the danger, of course, is that this new infrastructure of journalist-built automation risks repeating the mistakes of the old fashioned newsroom: relying too much on the decisions made by public bodies regarding what information to publish, and putting too much stock by the veracity of that. Meanwhile the reliance on open data and FOI comes with the risk of a bias towards investigating the public sector, or at least those organisations and individuals it deals with. Merely taking what is there will not be enough: organisations like Urbs, and Trinity Mirror and the BBC, and the others, will need to also lobby for access to previously unpublished datasets — and create them as well — while scrutinising the private sector algorithms that increasingly shape our lives. Perhaps the final takeaway from the conference hands-on sessions and the pre-conference BBC Shared Data Unit hackday was just how few people there are with the skillsets to step into the new roles that are being created, and how prepared reporters will need to be to adapt to the new demands being made on them, as data-driven stories are increasingly supplied through Urbs/PA, the BBC Shared Data Unit or their own data/investigations teams. But the networks created by Bureau Local, the reporters sent back to their newsrooms with data skills by the BBC, the new jobs created by Urbs and PA, and the stories coming out of Johnston, Trinity Mirror and Archant that act as regular proofs of concept are at least moving in the right direction.